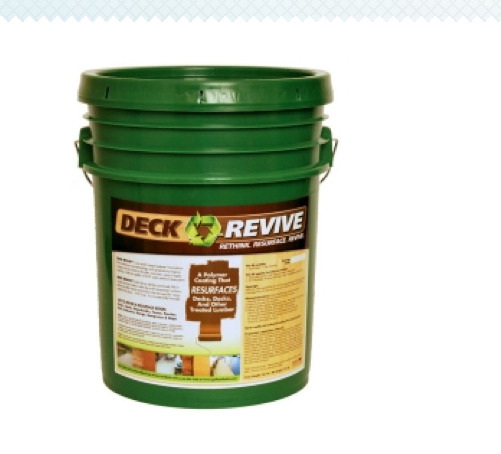 DeckRevive is a one-of-a-kind polymer coating that resurfaces and restores aging wood decks, walkways, steps and more, allowing you to enjoy your existing structure for years! Just add one gallon of exterior latex paint of any color and roll on with everyday paint tools. locks down splinters fills in cracks slip resistant environmentally friendly COVERAGE: Depending on the condition of the wood and the application technique, two coats will cover approximately 200 square feet.